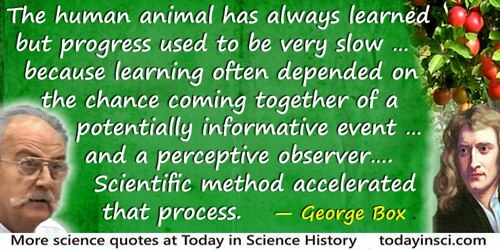 History shows that the human animal has always learned but progress used to be very slow. This was because learning often depended on the chance coming together of a potentially informative event on the one hand and a perceptive observer on the other. Scientific method accelerated that process. In article Total Quality: Its Origins and its Future (1995), published at the Center for Quality and Productivity Improvement. I am particularly fond of (Emmanuel Mendes da Costa’s) Natural History of Fossils because treatise, more than any other work written in English, records a short episode expressing one of the grand false starts in the history of natural science–and nothing can be quite so informative and instructive as a juicy mistake.